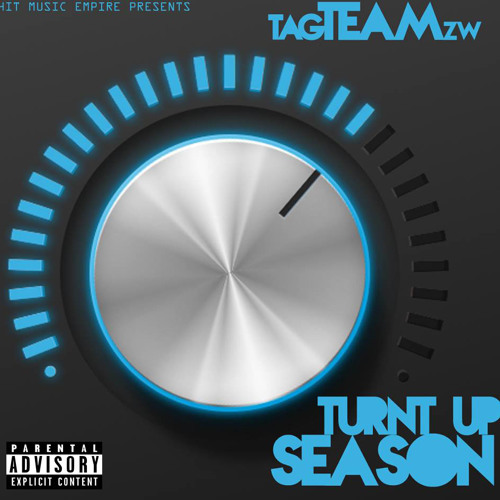 Tag Team Zw is a Zim-Hip Hop duo based In Harare that comprises of Peter Chiweshe aka Caliboi and Munashe Mubariki a.k.a Double_M. Tag Team Zw is currently signed to the UK-based record label called Sparkle Entertainment/Kornerstone Music Group owned by Zimbabwean music promoter Jordan Link. 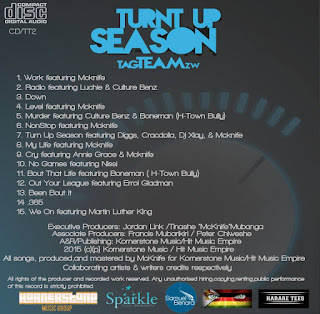 Turnt Up Season is their début album, featuring cameos by Boneman from Rehab, former Miss Zimbabwe Annie Grace Mutumha, Mcknife, Dj Xlay, Diggs, Cracdolla, Culture Benz, Nissi and also Nigerian female rapper Luchie NayNay. Mcknife handled the bulk of the production under his Hit Music Empire imprint. Tracks such as Radio, My Life, Level, 365, We On, Down,Turnt Up Season are predicted to win over fans.